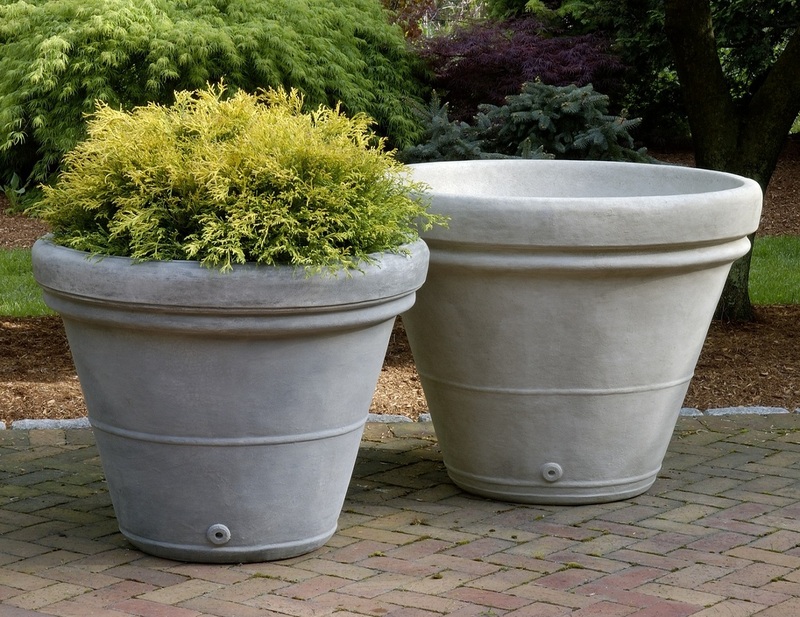 The Estate Rolled Rim Planters have a wide lip that extends down the top of the planter. Because of it's weight, the planter drains from the side. DIA 34" H 29" | 350 lbs. DIA 39" H 32" | 475 lbs.